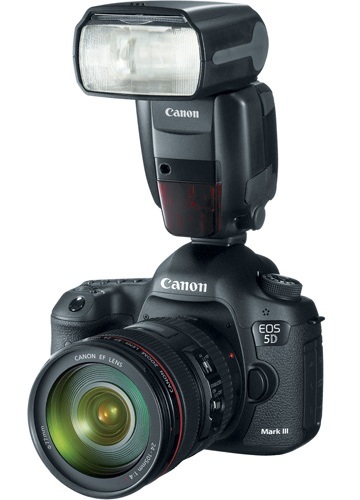 As well as the radio-enabled Canon 600EX-RT, there will be a cheaper, non-radio 600EX Speedlite to replace the 580EX II. Amongst all the hooplah surrounding the new Canon Speedlite 600EX-RT and ST-E3-RT, it seems that the poor Speedlite 600EX has been pushed to the sidelines. Indeed, it doesn’t seem to have attracted any attention from any of the major photography news web sites. Here at Lighting Rumours HQ, we are an equal opportunities outlet and think every flash – with or without radio – deserves some recognition. The Canon Speedlite 600EX is a new top-of-the-line hotshoe flash from Canon which differentiates from his more popular twin brother, as it doesn’t sport radio triggering capabilities. This makes it cheaper than the $629.99 / £679.99 Speedlite 600EX-RT, which should appeal to photographers who do not need or want radio built in to their flashgun. It replaces the flagship 580EX II. The guide number is 60 (at 200mm) with a tilting, swivelling zoom head (14-200mm), full E-TTL II and the ability to control three groups of wireless flashes via infrared. The unit is weather sealed to “the same degree” as the EOS-1D X. It can recycle from a full power flash in 3.3 seconds, and be turned down to 1/128 intensity in manual mode. The specifications and appearance are identical to the 600EX-RT except for the missing 2.4GHz transceiver. 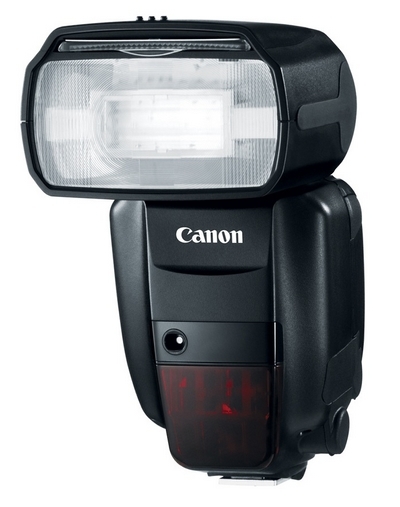 The recommended retail price of the Canon Speedlite 600EX is set at £639.99 / €659, £40 cheaper than the RT version. It will be in stock at the end of March like the other products announced. For more information, visit the official product page. Now here’s the question: would you get this one or the radio-enabled 600EX-RT version? Let us know your opinion in the comments!